Guitar playing is great fun, in fact playing any musical instrument brings a lot of joy and happiness to one and all music lovers. Learning guitar is not a child’s play. You have to get the notes and the chords right. Music is a language and guitar is a tool to understand this language. For learning the guitar, you need to spend some time to learn guitar music theory, and this will help you learn guitar within no time. This will give you knowledge by which you can understand what you are playing on the guitar. There are two types of guitars – electric and acoustic. First, you need to decide what kind of music you like and then to choose the type of guitar accordingly. If you listen to hard rock music, then the electric guitar is the best choice for you and vice versa. If you use a wrong guitar, it is most likely that you will lose interest in playing the guitar. Use a tuner because it is impossible for beginners to tune a guitar by ear and almost everyone uses a tuner now. For beginners, a chromatic tuner is better than a regular guitar tuner. There are many tunings you can learn to play on guitar. 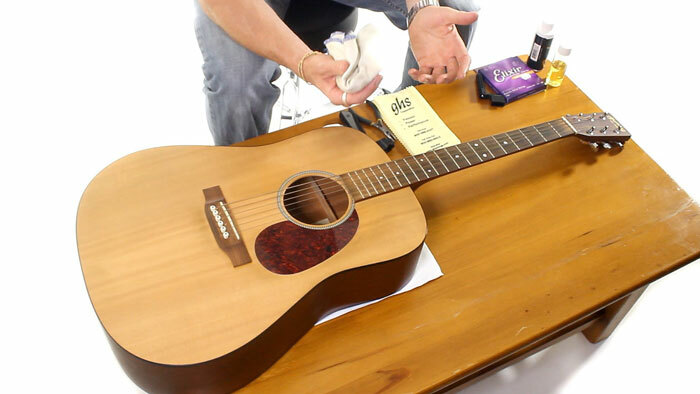 You need to change the strings of the guitar timely as they began to get corroded and lose their tone. 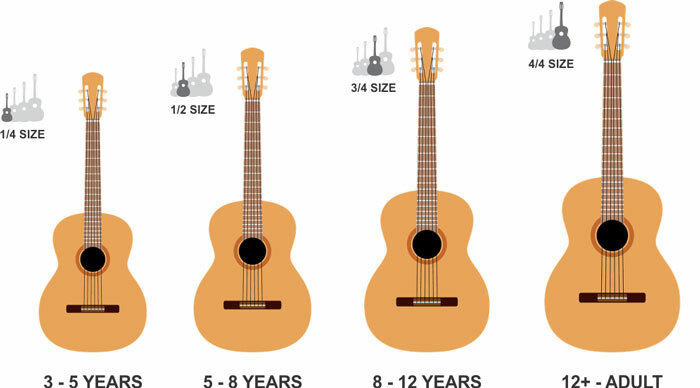 There are different strings for acoustic and electric guitar – the material of both the strings is different. So choose them correctly without any confusion. There are a lot of brands in the market to decide. Strings also come in different gauges and thickness. The thicker the string is, the better it is and lasts longer. Strings might be tough on the fingers, and they are harder to bend. For acoustic guitar 12 gauge strings are preferred and for electric guitars gauge 9 to gauge ten strings are preferred. One must hold a pick properly because of that only you can play the guitar as you want. The beginner must learn to have a firm grip on the pick as it plucks the string firmly with both downstrokes and upstrokes. Beginners must learn to fret a note; it is the essential skill that a guitarist must possess. It includes having the proper finger gap so that the guitarist touch the string which he wants to fret and not any other string. Sometimes a lot of chords are listed that may add colors to the song. The beginner tries to keep it simple, don’t play every chord which is recorded. It is not necessary every time to play all the chords. You can drop some problematic chords and play the easy ones. Most of the beginners do not sometimes realize that there are many ways to play every music. There is not just one form, and you can find many more natural ways to play the guitar. The beginners must learn to transpose keys so that you can find out the key to simplify the chord forms. There are also online tools and pocket reference cards for beginners that make the guitar learning easier for beginners. The online tools help you to calculate new key automatically. When there is no internet access, then you can make use of the printed guide. 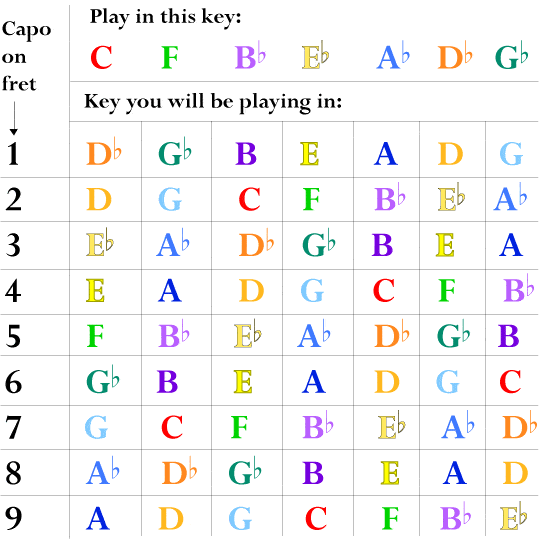 Capo chart is available for natural learning of the beginners. It is handy and easy to understand map for the beginner guitar players. Start playing power chords that will add rhythm to your playing. The root note of a chord and the note that is a fifth of the scale is the power card. Also, power chord can be substituted to any chord. 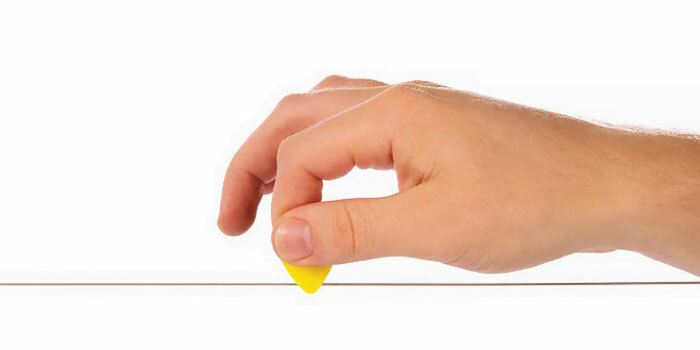 String bending is also a proper technique to raise the note of a pitch gradually. Beginners can also try sliding in which transition from one letter to another is done without re- plucking the note. You can also make use of a technique called vibrato that allows you to modulate the pitch of the note quickly. When the beginners start learning songs, they think that the only acceptable chords are the one that is written. But when you listen to a band playing, you will notice that everyone plays a slightly different note, pattern, chord or riff and these do not seem wrong too. So there are always complimentary chords or a substitute chord that you can play in a song. Sometimes it’s difficult to get one form of the chord to another for the beginners. You can use the technique called full palm muting. In this instead of playing music, you can keep the song going by entirely muting the strings and strumming to the beat. It is an excellent technique as it fills in a few hits and your hands are repositioned for the next chord.